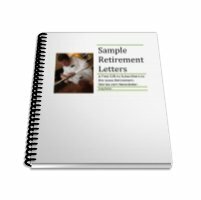 The retirement sentiments within my stories invite you into another world and reveal important messages about retirement planning. Why Retirement Sentiments and Stories? Sometimes we connect with stories, books and films as though they have a personal message for us. As if, "that's the story of my life". In our careers, analysis and factual information drives business thinking. Retirement stories, involve imagination and possibilities. Stories take us to the inner world of thoughts and feelings. The Bucket List: It's About Time! - The Retirement Bucket List is of your Retirement Wishes, before you ‘kick the bucket.' Do YOU have a Bucket List? Follow The Yellow Brick Road - In your transition to retirement, you may wonder if you have the resources you need for the new situation. The Wizard of OZ reminds you that sometimes you need look no further than your own backyard. The Road Not Taken - When you come to a fork in the road, how do you decide which way to go? A story to aid your retirement decisions. Going back: "I knew then why I had come back...to discover how I had changed ..."
If you've enjoyed these stories you will love Retirement Talk, hosted by Del Lowery. There you can listen to, or read, great stories about the demands and opportunities which the freedom of retirement offers. The stories on Del's site will assist you in considering the retirement lifestyle that's right for you. I hope you enjoyed these retirement sentiments. Please share your Retirement Stories and Anecdotes! Everyone loves a good story expressing retirement sentiments. Want to hear what other people are doing for an Active Retirement? Subscribe to my monthly email newsletter, "Retirement Stories". Full of new stories and tips on planning for and enjoying an active retirement. Subscribe Now.. and receive this Great Free Gift! - Great Examples for You to Change and Use ... You will receive Download Instructions on Your Confirmation Page.